My Favorite Plant Company is a leader in the installation of live wall systems. 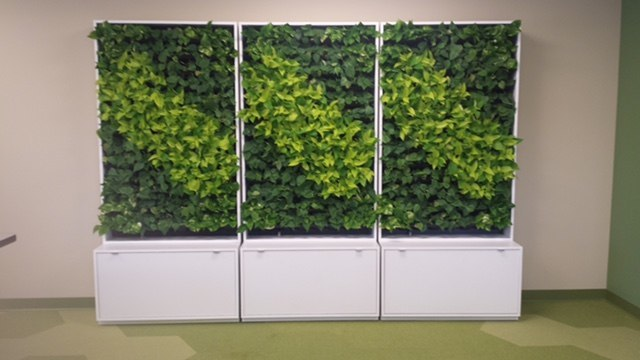 Living walls are an innovative and exciting addition to any office environment. Create stunning living murals with live wall systems. The living wall system provides a healthy growing environment for plants on virtually any interior wall surface. The arrangement and color possibilities are limitless. Please contact us about how we can help you with a live wall system.